I think I forgot to thank all of you for your birthday wishes....so THANK YOU!! I've been trying to get into the groove again with blogging, commenting, etc and I've made some progress this weekend in that department! Also I would like to welcome my new followers! The first hermitting weekend was sort of successful for me. I finished stitching two Rak designs and found the fabric to match, just need to pull out the sewing machine and finish them up! I also spent a good portion of Friday night frogging Hannah's first bloom I stitched. I should know that when working with 40 count, 1 thread is more than enough coverage! I did start the pattern with 2 threads of silk but found it to be rough going so I frogged the flower, salvaged most of the silk (YAY!) and made some progress on Hannah. Here's the first 2 over 2 bloom that I frogged. Looks pretty but the threads were too bulky. So here's the second attempt. Also the colour of the fabric in the first photo is much closer to what it really looks like. The stitching went a lot faster and I'm really enjoying working with AVAS silks. I've worked with a number of silks before, but AVAS is by far the best! Loving this design!! I also managed to finally fill in Tea Bath Fairy's massive kreinik block. I worked on this for over a month in the evenings since filling in stitches is easy work. No need to look at the pattern...just stitch away! I liked working on TBF every so often because it's amazing to see all the shading and details those tiny little stitches make. Quite fascinating isn't it?! I almost forgot to take a photo of my finished Tweet!! I used an assortment of sillks and DMC's stitched on 40 ct. R & R Reproduction's Creme Brulee, the same linen Baked Goods is being stitched on. I need to find the perfect fabric for this one. I think I'll do a simple pillow finish because it's faster and I won't procrastinate with that kind of finish!! Funny thing about the post system, I received many Christmas cards WAY after the fact and just received Vickie's Christmas card on Friday! It must have got lost in the US because it didn't leave the States until January 13th but she posted it almost a month before!! Well, I'm glad I got it and thanks so much Vickie for the sweet little counting pins! My first counting pins ever! They are so delightful. Can't show you the two RAK's I finished because I want them to be a surprise! I really liked the patterns and colour schemes I chose. Being a part of the Random Act of Kindness Blog has really pushed me to stitch more smalls and finish them! Onto hot dwarves!! Finally saw the Hobbit! Wow! It was amazing and I looove Thorin! Joyce also did a post about Richard Armitage if you'd like to go pop over there and ogle him a bit!! I think it's his eyes right?!! Oh, almost forgot to show you all something I put together. My finishes of 2012!! I had a pile of others but the "mosaic" would've been too massive and there were a number of pieces I actually didn't finish completely. I hope to get to them this year!! Putting the finishes together was neat to see how much I actually accomplished!! Okay, that's all for now! I hope you all had a wonderful stitchy weekend and sorry for no Titus photos today. He needs his beauty rest for the next photo session!! 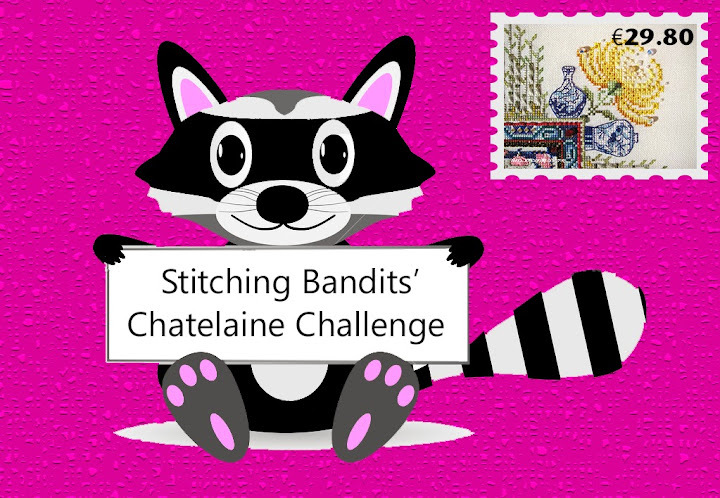 Your stitching is lovely and your cat is adorable! You made great progress on everything! Glad you finally got your card! Lol! Happy belated birthday!! I have been so out of sync with my blogging and comments I am just getting back in the groove of it! So I'm sorry I missed it. :) Love Hannah's bloom! So pretty! And you got lots done last year, I love the collage. I haven't had time to do mine yet! Hopefully this week/weekend. Ouch, frogging 40 count sure ain't fun. Glad that you're able to salvage most of the silk. 1 over 2 looks real delicate on 40 count. Tweet looks great and Tea Bath Fairy is coming along. No Titus this post? D: Where did he go? Lovely progress on both of your projects. Your Tweet finish is gorgeous. Great collage of your finishes for 2012. Happy Belated Birthday. Beautiful progress. Unlucky you had to frog the first attempt. Yay,the Tea Bath Fairy.Shes looking good. Looking forward to seeing what Hannah will look like. Congrats on your little finish.And so sorry to read about your Grand-dad. hello deary.. Happy late birthday..
Sophie is sulking because of no Titus photos but I told her life is full of hard knocks & she will see him again soon : ) Looks like you accomplished quite a lot on the first IHSW of the year! I need to take my photos to post today. Your Hannah is looking soooo pretty! I so need to get to this one! Your fairy is looking so amazing. There's no way I could do an HAED. Love your finish too! Thorin is hot, but I love Aiden Turner. 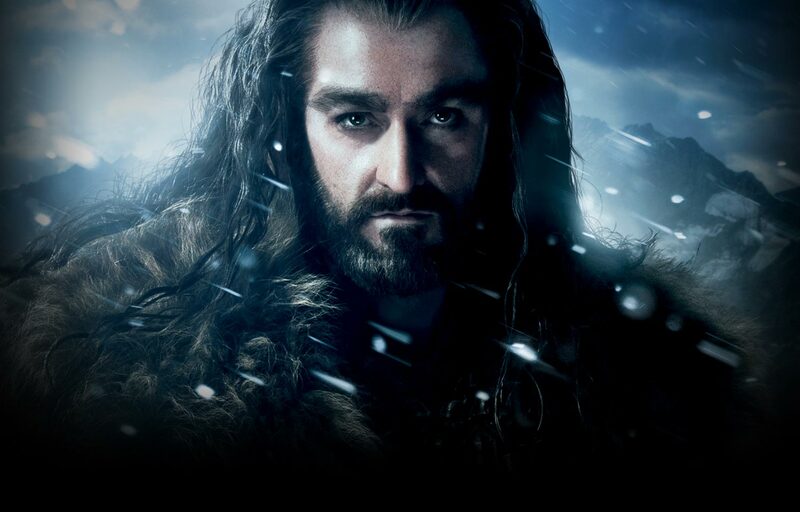 I can never remember if he plays Fili or Kili. lol! Love the tweet finish, a pillow finish will be great for it too. Hannah looks so much better with the one thread, I've never tried 40ct, don't think my eyes could handle it! I look forward to seeing what you have stitched for your first RAK's. Richard Armitage....sigh....I've got a crush on him too. Have you seen him in Spooks (MI-5) or North and South. He's a great actor too! LOL. Lovely stitching. Wonderful to see all the nice finishes of 2012. Look forward to Titus and his picture shoot. I am more in love with Richard Armitage than my other half will never know, he's very nice. Don't know if you're in to Costume Dramas, but if you are, hunt out a copy of the BBC version of North and South, he's gorgeous in that, think Mr Darcy but looking like him! And I love your Tea Bath Fairy, she's gorgeous! Hannah is looking good in over-one. And you won't have to worry about threads laying side by side now. I love 'Tweet'... cute finish. Glad you are finding the time for all that stitching! Love the mosaic of finishes! Very cute and love that it lets you look back on what you've accomplished throughout the year. Great progress Anne. Your piece does look better with just one strand. Your bloom on Hannah is gorgeous! The colors are so pretty and congrats on your Tweet finish! The shading in TCF is amazing but I think it takes a good deal of commitment to complete one of those HAEDs! Hannah is just beautiful! I love stitching with AVAS silks too ha ha! Love your mosaic of 2012 finishes! Hello, sweetie! Lovely start on Hannah. That flower is so pretty. 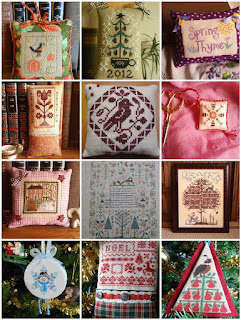 I love your 2012 finishes and I do spy the sweet pillow you made for me - yay! Hope things are going good for you at school. I tried silks but I think my rough 28 count didn't handle them well. My needle will never see 40 count so I better stick with my cotton! Yours looks wonderful. If I always could embroidery on silk.. is so tasty..but is soooo expensive. Your progress are wonderful! I know the lucky recipients of your RAKs will be thrilled! Hope you're staying warm up there--we are in the deep freeze here in Pennsylvania...I hate to set foot outside! You're showing lovely progress on all of them. It's a pleasure watching your projects grow. Wonderful post! You will be creating smiles with your raks for sure!! It's always fun to see what you are working on! Hope you are staying warm! All of your projects are just gorgeous! 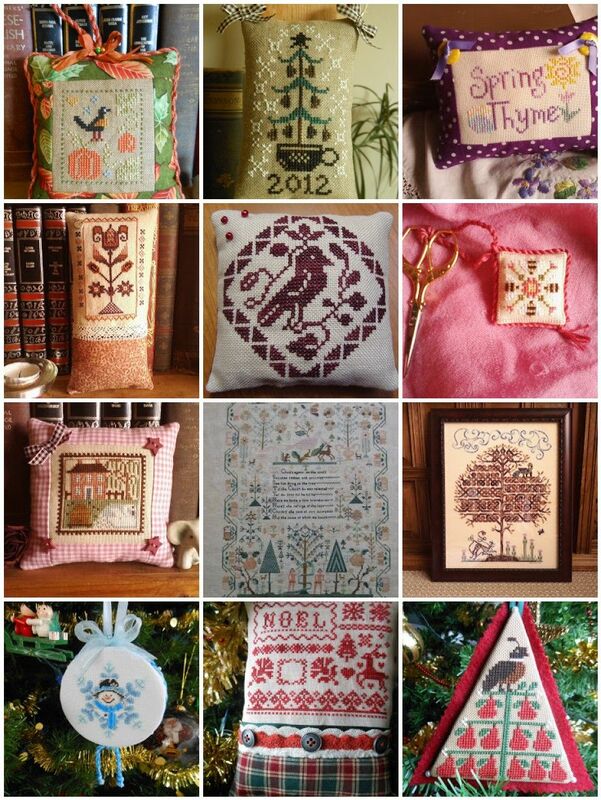 Gorgeous stitching, such varied pieces! It does stop you from getting bored having different styles to work on. I haven't seen the Hobbit yet, I let Hubby take the Large Boy as I knew he'd appreciate the 3D more than my eyesight allows me too! I love to see flashbacks :D Wonderful works from last year, congrats sweetie! !